Jakarta. With most of the land needed for the track and funding secured, Wijaya Karya is now confident to see the Jakarta-Bandung high-speed rail line operational in 2021. The state owned construction company, also known as Wika, is part of Kereta Cepat Indonesia China, a Chinese-Indonesian consortium developing the country's first high-speed rail line project, in accordance with President Joko "Jokowi" Widodo's commitment to Indonesia's infrastructure development. The project was earlier marred by land acquisition problems, which caused a delay in works of more than two years. "The Jakarta-Bandung high speed rail will be complete in mid-2021, after a trial period of three months," Wika president director Tumiyana said in a recent interview. "If our work on the 144-kilometer high-speed rail project experiences a few problems, that's only to be expected. Today, physical construction progress reaches 65.1 percent and land clearance is already at 81.7 percent. It's all coming together quickly," he said. Wika received Rp 11.1 trillion ($765.32 million) from the China Development Bank — the first part of China's financing commitment of Rp 80 trillion. 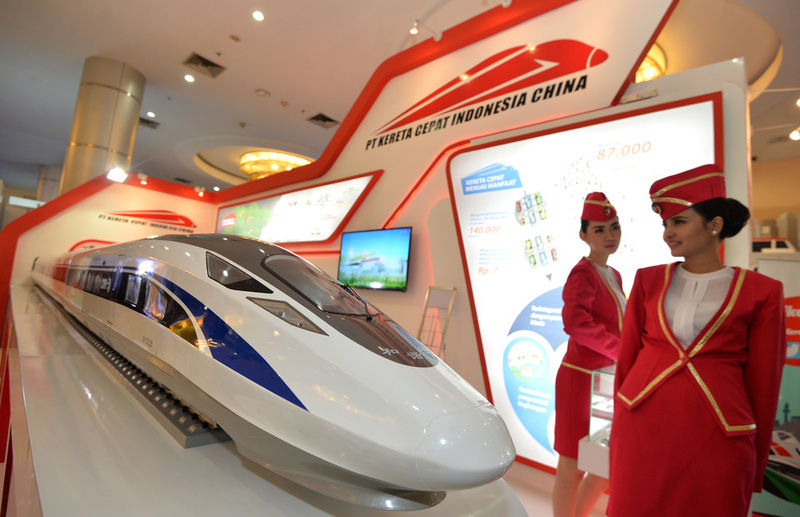 The high-speed rail project is developed by Kereta Cepat Indonesia China (KCIC), a joint venture between several Indonesian state-owned enterprises and the China Railway International Corporation. The state enterprises — Kereta Api Indonesia, Wika, Jasa Marga and Perkebunan Nusantara VIII — hold a 60 percent stake in the consortium through Pilar Sinergi BUMN Indonesia. According to Tumiyana, the consortium will be able to return the loan from the Chinese lender. "Firstly, we were given a 40-year soft loan at a cheap rate. Secondly, the consortium will develop property around the railway stations, estimated to generate a revenue of Rp 362 trillion over the next four decades," he said. Tumiyana estimates that Wika would reap Rp 90 trillion in revenue from the project over the period. The company's part in the loan is Rp 62 trillion. With high-speed trains traveling at 350 kilometers per hour, it will take only 45 minutes to reach Bandung from Jakarta. The train will stop at four stations: Halim Perdanakusuma, Karawang, Walini and Tegalluar. It will operate exclusively on its new high-speed rails, which are not connected to the existing tracks.